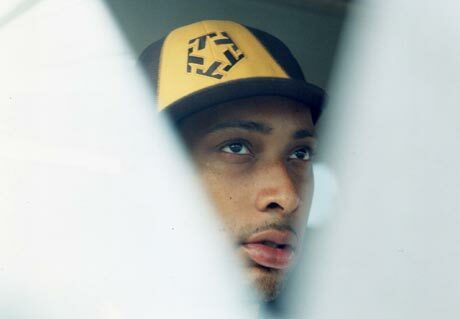 As daunting a feat as it may have seemed from the outset, its not entirely surprising that Mike "Oh No Jackson would eventually fight his way out from brother Madlibs long shadow of hip-hop innovation to become a monolithic pillar in his own right. With his latest set, the Oxnard, CA native makes the move official, piecing together an intricate, Earth-raw collection of some of his dirtiest productions to date. With fellow audio librarian Egon providing the source recordings, Dr. Nos Oxperiment rattles along to the sounds of deep 70s Middle Eastern funk and prog rock samples, snatched and dissected with surgical precision, grafted over an unshakable foundation of tough-as-steel beats. Album opener "Heavy kicks through the wall to jumpstart the show, leading with a sweet vocal melody that quickly gives way to an intoxicating blend of driving yet freeform psychedelic guitar riffage. A thumping backbeat and dipping bass line anchor the scratchy, phased-out licks of "Exp Out The Ox before giving way to one of the sickest breaks on the record in "Emergency. While Oh No may be shrugging Oxperiement off as a simple beat tape, theres no question that this album will definitely send a lot of home studio rats scurrying back to the lab. With the focus of Dr. Nos Oxperiment being so specifically crafted around this psychedelic European and Middle Eastern rock and folk sound, how were you first drawn to those original records? Basically, I was in the club in 2005 with my man Egon from Stones Throw and he was just playing a lot of Turkish tunes and a lot of just really sick material. I just hit him up and was like, "whats up with getting a copy of that? cause I wanted to rap to it. He gave me a copy of some stuff and I took it back and started cutting it up, making all kinds of beats and rapping to them. I turned in the beats and thats how it started: the Oxperiment. [Later] he started giving me all this other similar stuff and, basically, it started from there. With that old 70s funk sound you picked out from the original arrangements, did you see a lot of similarities between those records and the stuff going on in the States, or is what we hear on your album more your own added influence?